We really want you to be happy with your purchase. However if you for some reason is not satisfied with your item you may return or exchange it within 14 days of purchase. No returns or exchanges will be accepted after the 14 days period. To receive a refund your item must be unused and returned in its complete original package, which must be undamaged. If the item or packaging is not satisfactory we will contact you. Contact us at support@lightair.com. Please include your receipt and tell us about the reason for your return. We will email you a return shipping label. The refund will be processed as soon as we have received the item at our warehouse. With bank delays this might take up to 10 bank days. Can I use the air purifier before I return it? Unfortunately this is not possible. You can however unpack it and see how it look like in real life. Please read below regarding the return policy. All shipping charges will be the responsibility of the customer. This means that LightAir will deduct the initial shipping fee plus the return shipping fee from the amount we will refund you. For the countries that we offer free shipping, however, if customers want to return, it would be the responsibility of the customer for the return shipping fee. Please find the shipping fees HERE. All shipping charges will be the responsibility of the customer. 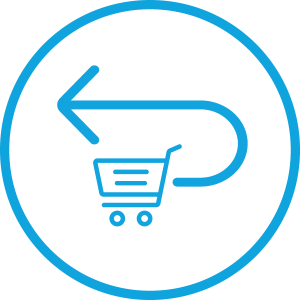 This means that LightAir will deduct the initial shipping fee plus the return shipping fee from the amount we will refund you. The return shipping fee is the same as the initial shipping fee you were charged at order. Please find the shipping fees HERE. Can I exchange from one model to another? Yes, you can exchange to another model within the 14 days. To exchange your item it must be unused and returned in its complete original package, which must be undamaged. If the item or packaging is not satisfactory we will contact you. Please contact us at support@lightair.com if you have any questions or concerns. How do I exchange my air purifier to another model? To exchange your item it must be unused and returned in its complete original package, which must be undamaged. If the item or packaging is not satisfactory we will contact you. Please send us an email to support@lightair.com and inform us you wish to change the product. Please include your receipt and tell us about the reason for your exchange. We will email you a return shipping label. Place a new order. You will be refunded the full amount for your first order and charged for the new order placed. We will not charge you any extra for the return shipping when exchanging a product. Please remember to send us an email regarding the exchange so that we do not charge you any extra for the return shipping.